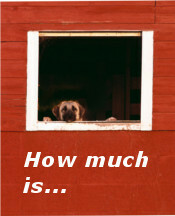 Building Estimates or software generated construction costs by third parties (i.e. : someone not directly involved in the construction project) only give an exaggerated "ball-park" figure at best. Although they may include detailed breakdowns for each construction phase, it is not likely to be accurate and realistic since they do not take into consideration criteria such as area specific pricing trends, building demand (or lack of it) and the all-important human element. The best way to get an accurate building estimate with relevant construction costs is to purchase a construction plan and submit it to a local builder. If you are serious about building, we strongly recommend not relying on software estimates. We suggest having a builder view the plan online via our website to give you a general price range.